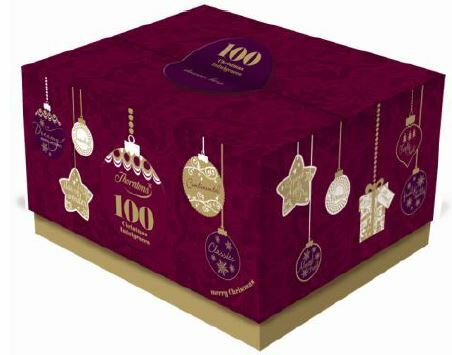 Oh Yeah – You KNOW It’s Christmas with Thorntons Chocolates! From the moment you open door number one of your advent calendar or hear your favourite festive tune on the radio, you know it’s Christmas. And Christmas just wouldn’t be complete without your favourite Thorntons chocolates. Even my nephew always gets Thorntons and my niece will once she’s old enough! I’m sure that everyone in the UK pretty much knows Thorntons and has gifted and been gifted their chocolate. I was given a large hamper after delivering some training as a thank you 🙂 This much-loved British chocolate maker once again this holiday season has a fantastic range of new festive treats for the whole family, from beautifully decorated chocolate characters (like the snowman little nephew got) to delicious boxes of chocolates. There’s even a very special new range of Thorntons famous Continental chocolates this year, as it celebrates its 60th birthday which I got to try – YUMMY! For some people I know, Christmas just wouldn’t be Christmas without a box of Continental chocolates. Even in my office there were around 10 boxes of these handed out, one to each staff member with a significant event this year. 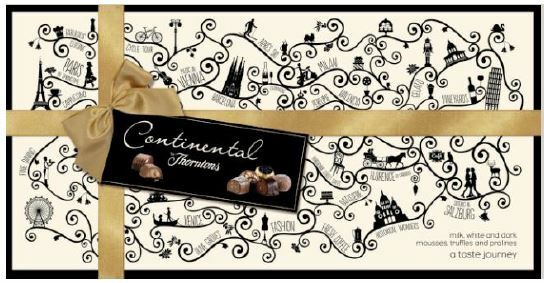 To celebrate Continental’s 60th birthday, Thorntons has launched a very special Birthday Box (RRP £15) along with a Continental Collection Box (RRP £30) that brings back four exquisite recipes from years gone by, including Apricot Parfait and Brandy Noisette. I got to try them at the press launch and they were delicious. Perfect for the sweet toothed person, I particularly enjoyed the mandarin one. Exclusively in supermarkets this Christmas, Thorntons has also created two single variant boxes featuring two of the nation’s favourite chocolates – the Alpini box and the Viennese Truffle box (both RSP £5). I got a box of the Alpini from the press launch and I can say they are particularly moreish. In fact, that might have been what inspired the office to gift them to employees! 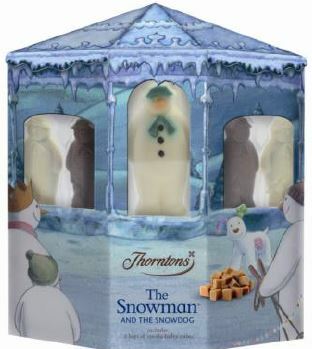 Don’t forget that Thorntons is also the chocolate home of The Snowman and the Snowdog. Last year they launched with a giant Snowdog made of chocolate. This year you will find a new gorgeous gift pack designed as a bandstand (RSP £10) But that’s not all! There is also a giant 1kg The Snowman and The Snowdog Model (RSP £50) that’s perfect for sharing with the whole family. So there you have it – Christmas starts with Thorntons chocolates but hurry into stores and grab a gift before it is all gone! 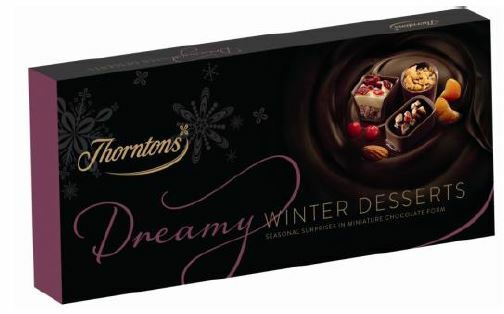 12 Responses to Oh Yeah – You KNOW It’s Christmas with Thorntons Chocolates! Oh the snowman is super cute and I just love white chocolate. Totally a Thornton’s fan. They all look gorgeous but I know my girls would love the the snowman / snowdog the most! We’ve having Ferrero tonight but there will be Thorntons shortly! It just isn’t Christmas without chocolate, unfortunately the Thornton’s near me closed, but luckily I can still pick it up in supermarkets. The dreamy winter desserts chocs sound like just my kind of thing! I love Thorntons packaging for the boxes in black and white like the top photo here. They look so much more sophisticated than Roses or Dairy Milk so I try to steer my dad to buy them as gifts rather than the latter! Good idea! I hadn’t thought of trying to do that!